Aluminium smelters may shut facilities that can make 2 million to 3 million tons in the second and third quarters. LONDON (Bloomberg) -- Record global car output predicted by Carlos Ghosn and a forecast for a potential shortfall in aluminum supplies means the world's second most-used metal may be about to rebound. Smelters will shut this quarter because about 70 percent are unprofitable after aluminum fell as much as 27 percent in two months, said Oleg Deripaska, CEO of United Co. Rusal, the largest producer. Ghosn, CEO of Renault SA and Nissan Motor Corp., expects car production to gain about 11 percent this year. Transportation is the biggest use for aluminum. In March 2009, 7.3 million tons of capacity was offline, Barclays Capital estimated last year. His forecast for record global car sales of 70 million compares with 63 million last year, Renault's press office said in an e- mail. U.S. auto sales rose to 1.1 million in May, the eighth straight monthly increase, as General Motors Co., Ford Motor Co., Chrysler Group, Nissan and Hyundai Motor Co. exceeded analysts' delivery estimates. On average, 8.6 percent of a North American car's weight is made up of aluminum, according to the Arlington, Virginia-based Aluminum Association's Aluminum Transportation Group. 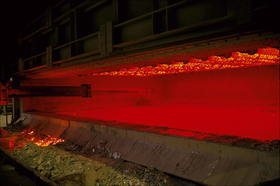 New smelters in Abu Dhabi and Qatar and Chinese plants will add capacity this year, Barclays said in a report this month. That will be partly offset by Europe, where about two-thirds of plants “are in danger of closure” before the end of 2013, the European Aluminium Association says.